Join us on Thursday, May 2 for The Big Payback Day. The Big Payback is a community-wide 24-hour online giving challenge hosted by The Community Foundation of Middle Tennessee. Click on the link below to see how you can support Angel Heart Farm. VOTE! VOTE! VOTE! Another way to support Angel Heart Farm is by clicking on the link below and voting for our video to win. Every Monday, when you shop at Altar'd State at the Avenue in Murfreesboro, Tennessee, 10% of all proceeds go to Angel Heart Farm! See you there and have fun shopping! 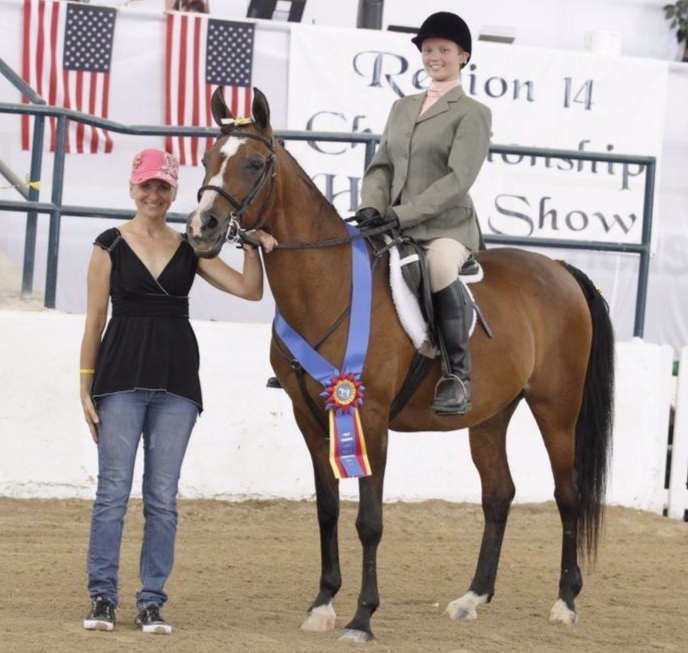 Congratulations Sarah Jayne Johnson for your article being named “Best Equestrian Article” in Arabian Horse Times. Click HERE to read this amazing article. Made up of Ohio, Kentucky and West Virginia (a central area of the United States), it is also the “center” of considerable horse activity, not only from its leadership in the Arabian horse community in America, but also for its range of activities. Come visit our booth at the show! Come cheer on our kids as they show their favorite Arabian horses and Watch for the Ride for the Gold class! Check out AHF in Sidelines Magazine! Click the link below to see us featured! "I'll See You in Heaven"
Rocky Named Welsh Pony of the Year! Congratulations to CloverCroft Rocky Too (ROCKY) for being named Welsh Pony of the Year by the Welsh Pony and Cob Society Members. We are so Blessed and Honored to have Rocky on the Angel Crew. This special pony has been a vital part of the program since 2001. Rocky is not just the Welsh of the Year to us at AHF but the Pony of a Lifetime! This prestigious title was given by President Dr. Ruth Wilburn during the Welsh Pony Convention held in Nashville late February. Not only was Dr. Ruth Wilbun along with Cheryl Patton the breeders of Rocky but both help accept the award with AHF's director Tracy Kujawa. Rocky received a beautiful plaque from the Society and a huge bags of carrots from his fans! Thank you to everyone that has had a hand in Rocky's amazing life! Click here to view article in pdf format. AHF's Rocky honored by the Welsh Pony Review Our top pony Rocky was honored with a feature story in the Welsh Pony Review.